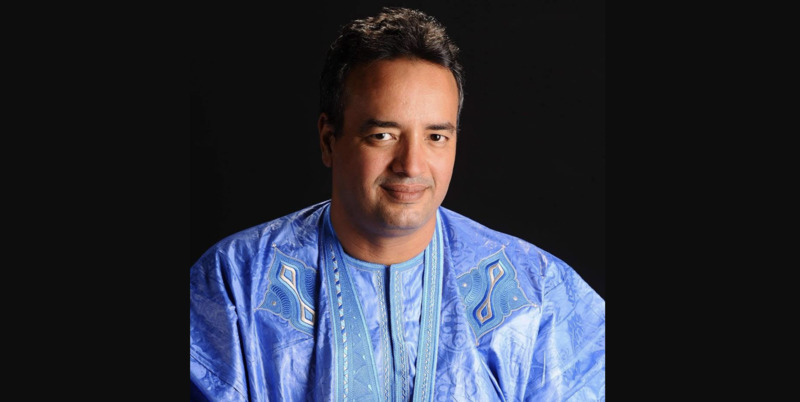 NEW YORK (March 22, 2019) — The Human Rights Foundation (HRF) condemns the arbitrary arrest of transparency activist and whistleblower Abderrahmane Weddady, and calls on the West African government of Mauritania to release him immediately, along with fellow blogger Cheikh Ould Jiddou. According to reports from his family, Weddady was summoned to the economic crimes unit of the Mauritanian national police at approximately 11:00 am local time. Since then, he has been held in a jail cell, incommunicado. Around 10:00 pm local time, the authorities allowed Weddady's lawyer to see him, who was informed that Wedaddy was being held indefinitely without any formal charges. Family sources reached out to the state prosecutor and learned that he is not aware of any proceedings against Weddady. The arrest comes three years into an anti-corruption campaign that Weddady has spearheaded to expose the personal misconduct and corruption of President Mohammed Ould Abdalaziz. Weddady published documents on Facebook that implicate President Abdalaziz directly in a massive Ponzi scheme, revealed to have affected more than 7,000 Mauritanian families, where the President was profiting from buying real estate property at a lower than market price. The head of the Ponzi scheme -- Cheikh Rada al-Saidy -- was, according to Weddady, providing this illegal benefit to the President in exchange for personal protection. "President Abdalaziz's reign is characterized as the most corrupt in the long history of Mauritania. The country has consistently scored at the bottom of the world's corruption indexes. Abderrahmane Weddady has bravely risked his livelihood to expose this kleptocracy and defend the rights of ordinary Mauritanian citizens. The fact that the President has ordered Weddady to be extrajudicially arrested shows you how afraid he is of the people discovering that he is benefitting from their misfortune," said HRF chief legal officer Javier El-Hage. President Abdalaziz took power through a coup d'etat in 2009, when he seized control of the state from a democratically-elected leader. In the past decade, Weddady and others have documented how he has stolen millions of dollars from Mauritanian citizens to enrich himself and his close family circle. President Abdalaziz is nearing the end of his second term in office, and is concerned about any international investigations into his ill-gotten fortune, the bulk of which is stored overseas, and is now being protected only by virtue of his diplomatic immunity. In late 2018, Abdalaziz tried to amend the Mauritanian constitution to allow himself to stay in power longer, but he failed. His attacks on citizen journalists like Weddady and Jaiddou are a reminder that if his corruption is brought to light, he will face justice in international courts and his personal assets will be at risk of being frozen or seized. "HRF supports press freedom in Mauritania, and commends Weddady and Jiddou for holding their government accountable and speaking truth to power. President Abdalaziz should release them today, and come clean about where he obtained his considerable fortune," said El-Hage. Support citizen journalism and press freedom by contacting and tweeting at Mauritanian government officials to demand the release of Abderrahmane Weddady and Cheikh Ould Jiddou. If you are a resident of the United States, contact your Ambassador in Mauritania and ask him to help secure the release of Weddady and Jiddou. Spread the word by sharing the Arab Tyrant Manual's interview with Weddady's family on this matter. Copyright © 2019 The Human Rights Foundation, All rights reserved.